The last few days were very hot and our walks in the morning and in the evening were very exhausting. We had a few animal encounters, but not as many as we hoped for. Even the animals thought is was to hot to be out and about. During these hot days they spend their time in drainage lines and in thick bush. It is too dangerous to walk these areas so most of our encounters were around waterholes. Rhinos, Buffalo bulls and Elephant bulls. 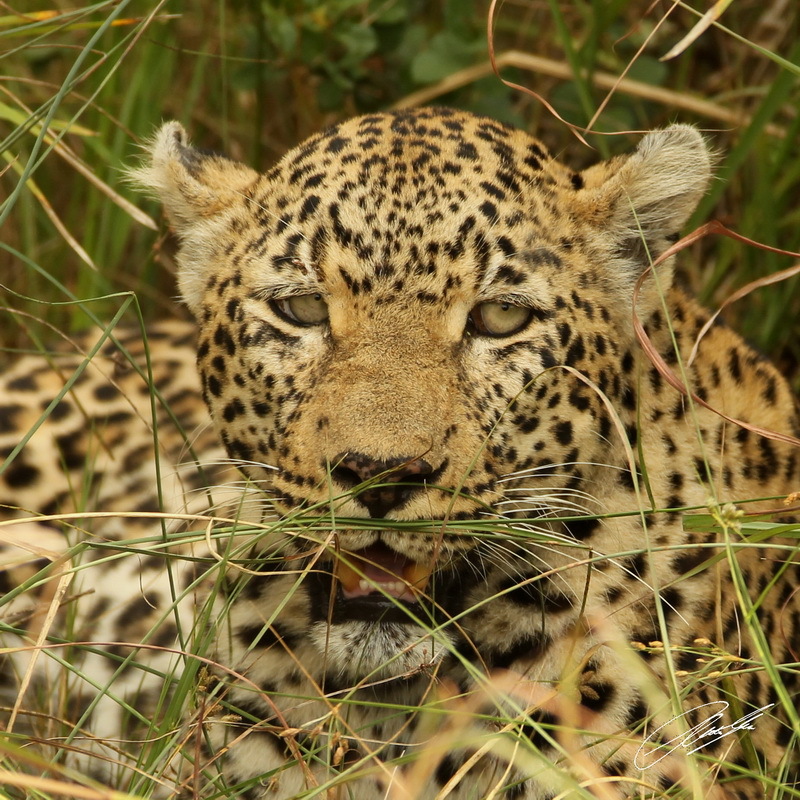 Here are two pictures of the Leopards and an image of a young Elephant bull feeding next to my tent. 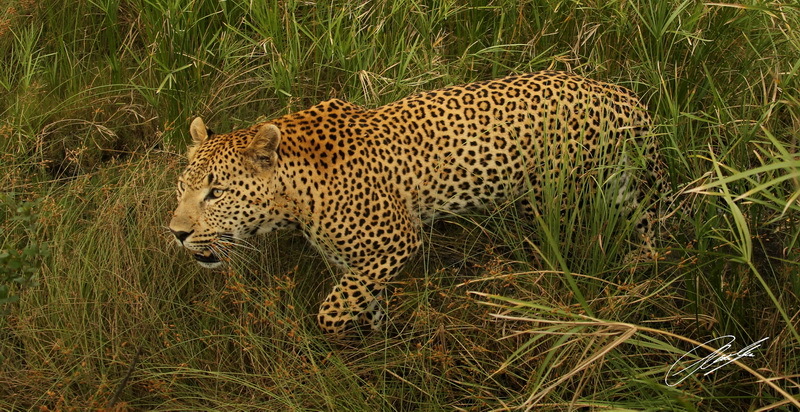 I love the picture of the female leopard!! 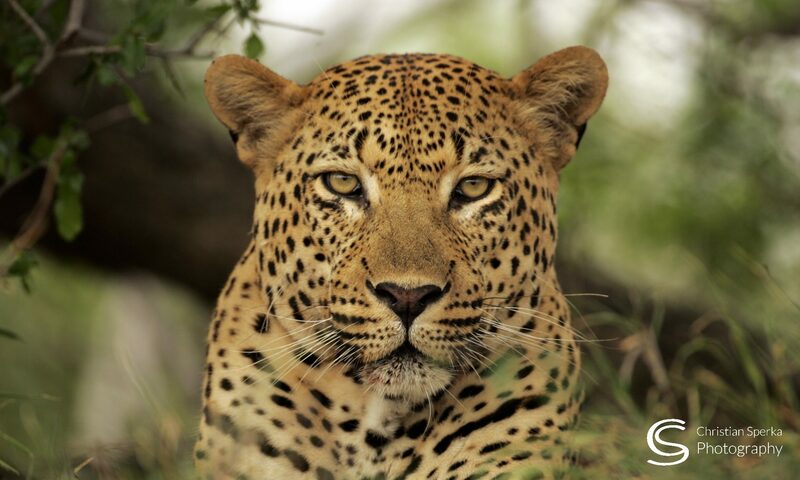 Sorry to hear that the sitings were few, but what Awesome pictures of the Leopards. They are such beautiful cats. Looks like you were lying on the ground at eye level to get this picture of the female. Again Awesome x2. Another great picture for your office wall. Do something special with them. 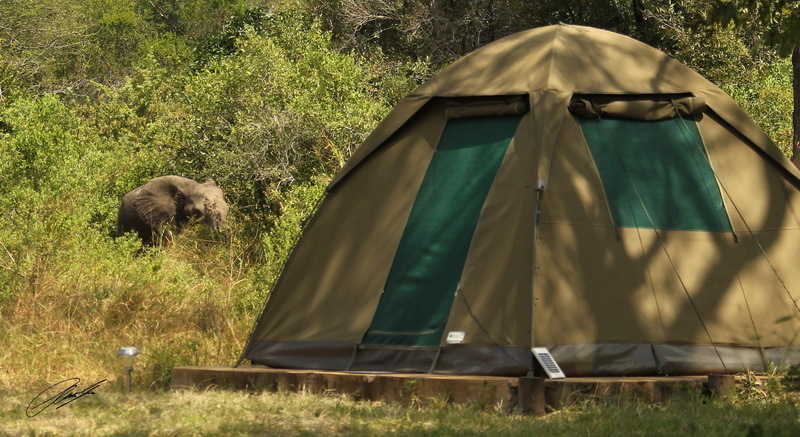 Do you know if they ever have a problem with the Elephants destroying the campsites? Have a Great One!! Be safe and Thanks for sharing these lovely pictures with us. What a life! You know how to live. Congrats!!! Christian, I love seeing you images and hearing about your travesl and great times there. We miss you at the Zoo and talk about your new life with the animals. Wish I were there also! Next PostNext Heavy Mating and Fishing!